The time has come…we are looking for nominations. We want you to nominate the people in our community who do good things, often with little or no recognition. 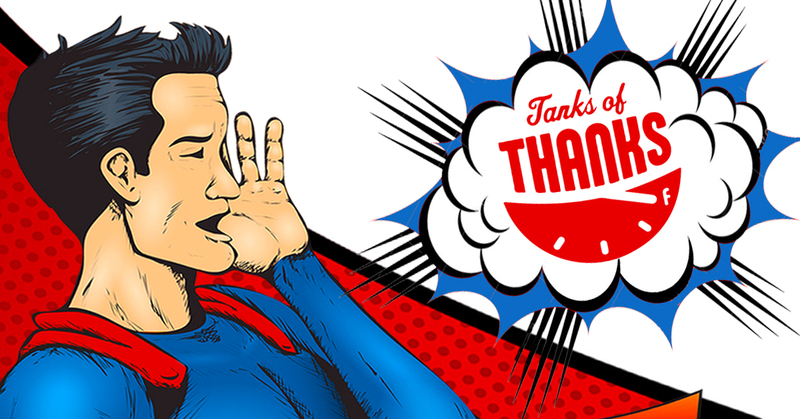 Our fourth annual Tanks of Thanks celebration is set for August 25! Once again, we are joining forces with Parkfest to make each of our events even bigger. Before we can celebrate the individuals – we need you to nominate them! Download the nomination form or call us at (715) 748-2056 to nominate someone by July 29.